Do you suspect that the roof on your home was damaged during a recent storm? It’s a good idea to get outside and check on it right away to see how much damage was done. You might be able to file a roof replacement insurance claim and have it taken care of right away. However, you’ll need to act quickly. Here are some tips for filing a successful claim. Get in touch with your insurance company to see if your policy covers roof damage. Most people have a home insurance policy that is designed to cover damage done to their roofs. If you aren’t sure if your policy covers roof damage, you should start by reaching out to your insurance company and asking about roof replacement. If they tell you that your roof is, in fact, covered by your policy, you will be able to take the right steps to get roof replacement done right away. Since your roof is such an important part of your home, your insurance company will typically spring into action quickly and see to it that your roof is fixed. Take photos of the damage done to your roof. Once you get off the phone with your insurance company, you should take the time to take photos of the damage that was done to your roof. This will serve as proof that your roof was damaged and show what your roof looked like prior to you having any work done to it. Your photos could prove to be important later if your roof sustains more damage or if your insurance company wants to see what kind of damage was done. The photos should speed up the process and get your insurance claim approved right away. Pick a roofing contractor who has experience working with insurance companies. 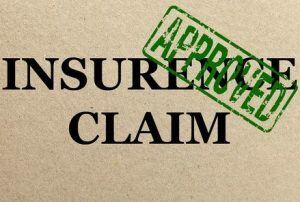 If your insurance company agrees to approve your roof replacement claim, you should work with a roofing contractor who has experience working with insurance companies in the past. There are certain procedures the contractor will need to follow while fixing your roof. The last thing you want is for the roofing contractor to step in and not know how to communicate with your insurance company properly. If you’re in the process of filing a roof replacement insurance claim, you need a company like Roofing By Bruce by your side. We can see to it that you get a new roof in no time by working with your insurance company. Call us at 570-424-8891 today to get started.